By demonstrating integrity and complying with the CCCC Standards of Accountability, Tyndale University College & Seminary has earned the right to display the Seal of Accountability. Tyndale was founded in 1894 in Toronto, Ontario and is now comprised of students from 60 ethnic backgrounds and 40 denominations. Legislated by the Government of Ontario, Tyndale University College is a Christian university offering a range of academic disciplines. 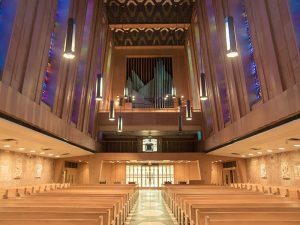 Tyndale Seminary is Canada’s largest graduate school of theology, offering degrees at the master’s and doctoral levels. Tyndale University College & Seminary prepares people for work in the private, public, and not-for-profit sectors, education, ministry, and the global mission of the Church. Tyndale is a community of students and faculty that challenges each other to live authentically, follow Christ, and actively engage their culture. Tyndale is dedicated to the pursuit of truth, to excellence in teaching, learning, and research, for the enriching of mind, heart, and character, to serve the church and the world for the glory of God. 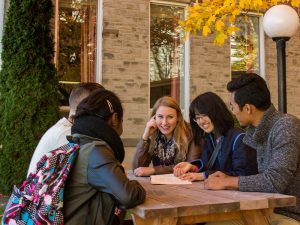 Find out more about Tyndale University College & Seminary and its undergraduate and graduate programs. Information about CCCC certified members can be found on GiveConfidently.ca.